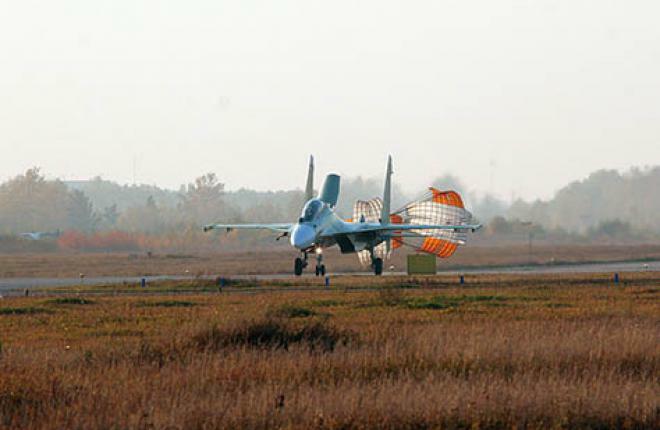 Irkut Corporation, a subsidiary of Russia’s United Aircraft Corpora­tion, has started flight-testing the twin-seat Sukhoi Su-30SM multirole fighter. The first aircraft completed its two-hour maiden flight on September 21; the second prototype joined the flight tests on September 25, the manufacturer reports. The Su-30SM, under development for the Russian Air Force, is based on Irkut’s best-selling export platform the Su-30MKI. The baseline platform, in turn, was derived in the late 1990s from the heavily upgraded Su-30 two-seater under the Indian Air Force requirement. This 34-ton MTOW aircraft is powered by a pair of AL-31FP bypass turbojets, which accelerate it to Mach 2 in horizontal flight. The Su-30MKI carries a combat load of up to 8,000 kg on 12 hardpoints to engage airborne, ground and sea-surface targets. India has already ordered 230 of the type, both in form of direct purchases and through local license production at Hindustan Aeronautics Ltd. IAF is expected to sign up for a further 42 Su-30MKIs by the end of this year.